Variables with type listed above are considered as host variables. Every variable needs to be declared in global scope of script. In example above Maya objects connected to input attributes were decomposed to arrays of properties describing those objects. Values of properties are accessible through v and p identifiers. 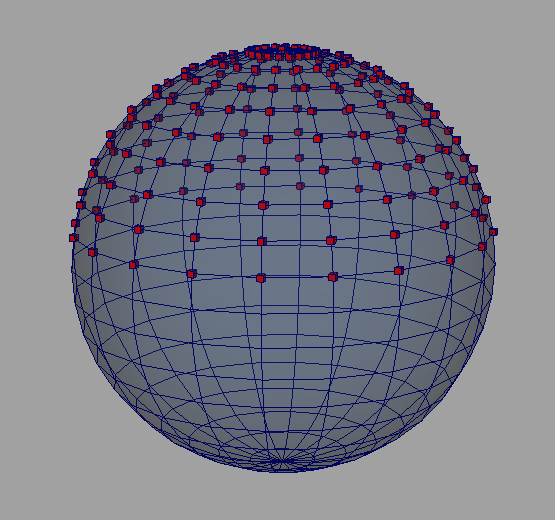 Mesh edges define neighborhood of vertices. 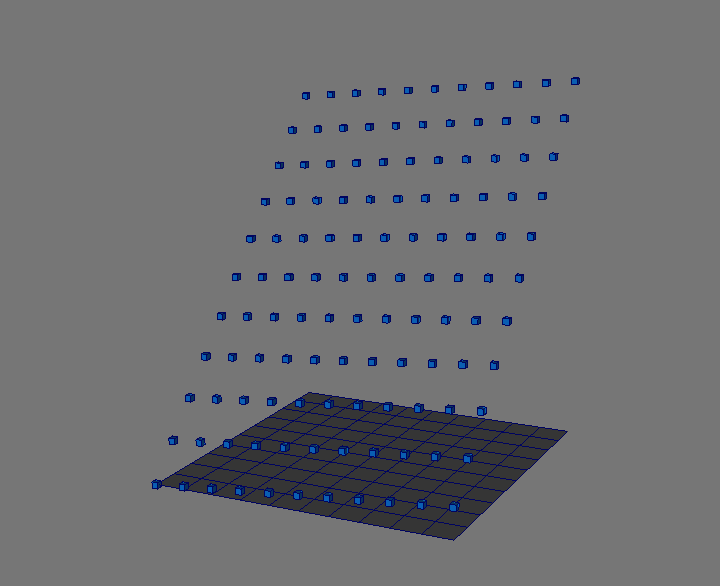 This information is stored in v object as well to allow further computations involving field values of surrounding points. Point properties are described by fields, such as position, pointID, objectIndex or other user-defined values. Mixing point sets is not allowed in single expression. Selection variable can be exported only as array of points (using outPoints[n]). Selection inherits fields from vert variable that is processed in current scope. Selection can contain points from only one vert variable.